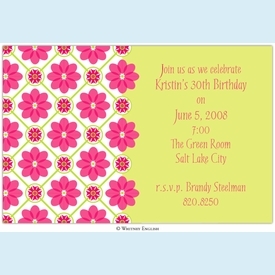 Pretty pink floral blossoms decorate the left side of this flat invite with lime background. 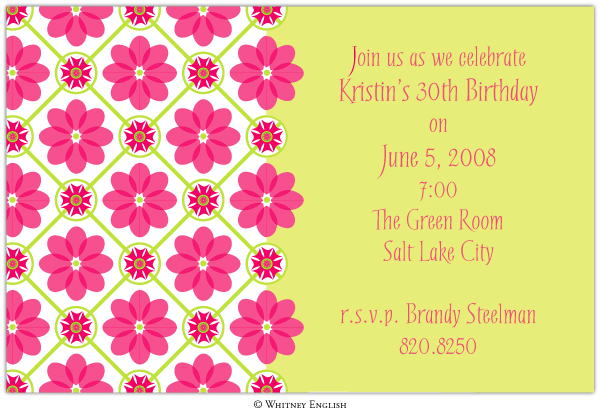 Looks great with coordinating pink ink for personalization. SIZE DIMENSIONS: 5.5" x 8.5"